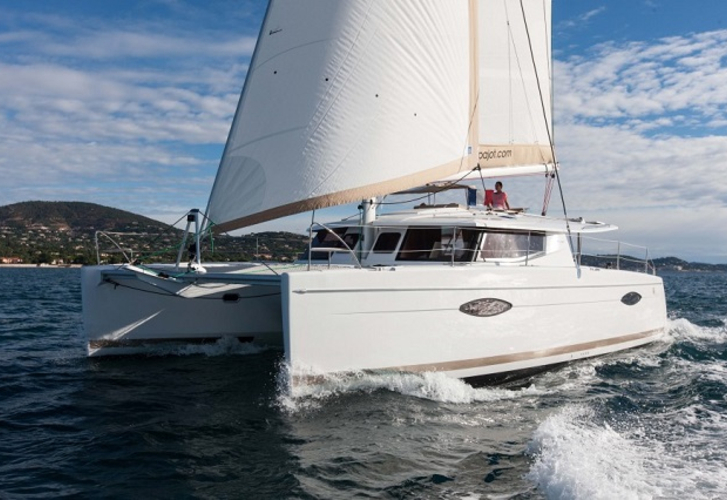 In 2015 has been manufactured sailboat Helia 44 named Clione. This vessel is placed in port Marmaris just a few kilometers from Marmaris in Turkey. You can board up to 8 pax on the sailing boat Clione. Configuration of beds is 8. There are 4 bedrooms placed under boat's deck. Clione has 4 heads with showers. You can analyze other boats following this link: Catamarans Marmaris. In this sailboat there is motor 39. With 13.25 m of lenght overall and 7.40 m of width Clione provides enough space for comfortable sailing. Helia 44 Clione is equipped with: Anchor electric windlass, Bed linen, Mainsail with lazy jack, Wash machine, Bimini top, sun mattresses, Electric hallyard winch, Air conditioning, Dishwasher, TV, Mainsail with lazy jack. . Deposit accounts for 800.00 EUR. Read about different boats by going to the section Catamarans Marmaris.